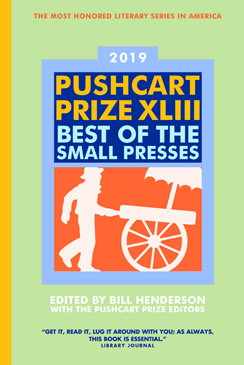 The Pushcart Prize is one of the most venerable institutions in American publishing. It’s been going strong on a shoestring since 1976. We talk with Pushcart Press’ founder and editor Bill Henderson about the prize and his memoir All My Dogs. Writer’s Voice — in depth conversation with writers of all genres. On the air since 2004. Rate us on iTunes! When Bill Henderson established the Pushcart Prize back in 1976, he had recently been fired from his job at Doubleday. He also had had his novel rejected multiple times. Henderson didn’t know that the crazy idea he had—to anthologize “poetry, short fiction, essays or literary whatnot” published in the small presses over the previous year—was going to take off so spectacularly. All he knew, was that he didn’t like the profit-driven mandates of the traditional publishing industry. The Pushcart Press has been going now since 1979 and, along the way, Henderson has published and self-published a passel of books, among them several memoirs. In this episode, he talks with Writer’s Voice about Pushcart Press, writing and publishing, and his memoir, All My Dogs, A Life. President Trump released his $4.75 trillion dollar budget proposal this week. It calls for massive cuts to three social programs he promised he wouldn’t cut during his campaign: Medicare, Social Security and Medicaid. His proposal would slash $25 billion dollars out of Social Security, $845 billion out of Medicare and $1.5 trillion out of Medicaid—the program that provides health care to 20% of all Americans. 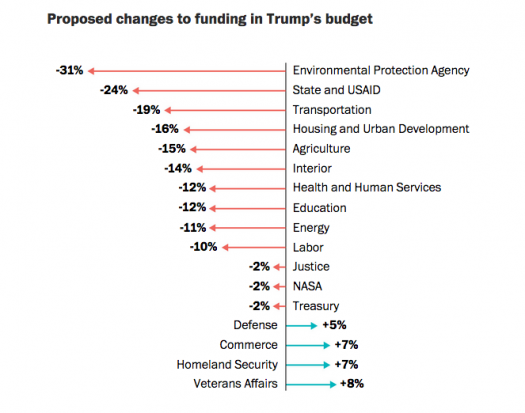 Trump’s budget also called for massive cuts to programs aimed at reducing global warming, as well as other environmental programs, and science. But Trump also proposed a $750 billion dollar budget for the defense department, an increase of 5% over the already bloated budget he got last year. Back in December, I interviewed David Lindorff about his article for the Nation Magazine , “The Pentagon’s Massive Accounting Fraud Exposed.” The $21 trillion dollars that disappeared, some hidden in secret slush funds, became justification for the Pentagon’s annual budget ask, propelling US military spending higher, year after year.